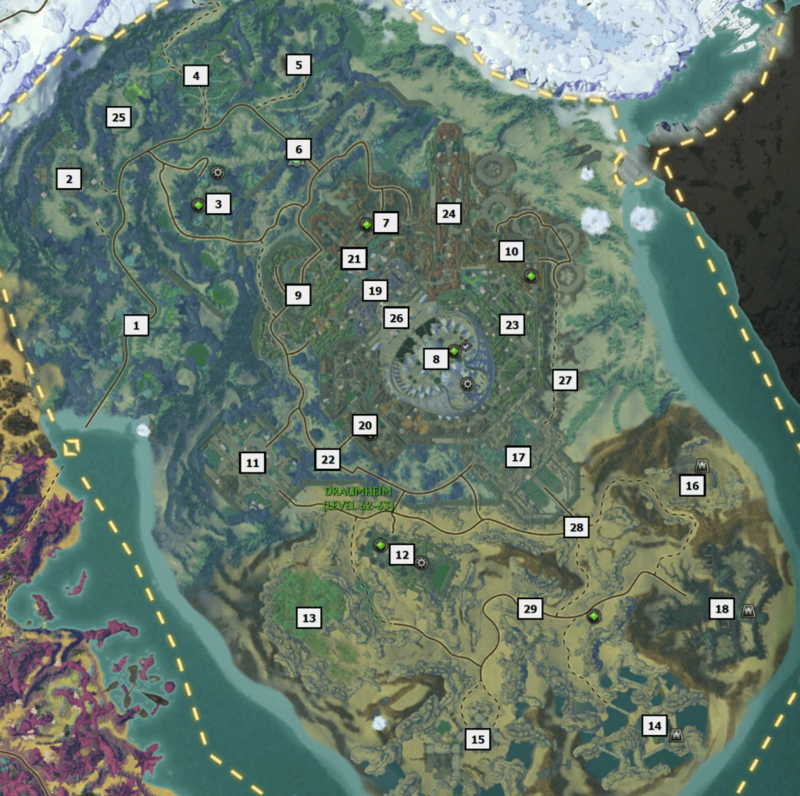 On this page i have guides for; A Prowed Moment, Dropping in on Draumheim, Shark Jumping in Draumheim, Scion Sightseeing, Making Sense?, Vision Quests, Scrubbing Scion, There’s More Than One of Those Things?, Draumheim Tideseekers and Dream Walking. As the Draumheim Tideseekers is such a big guide they have been moved to their own page with all the other farseers, the Nightmare Tide Farseers page. 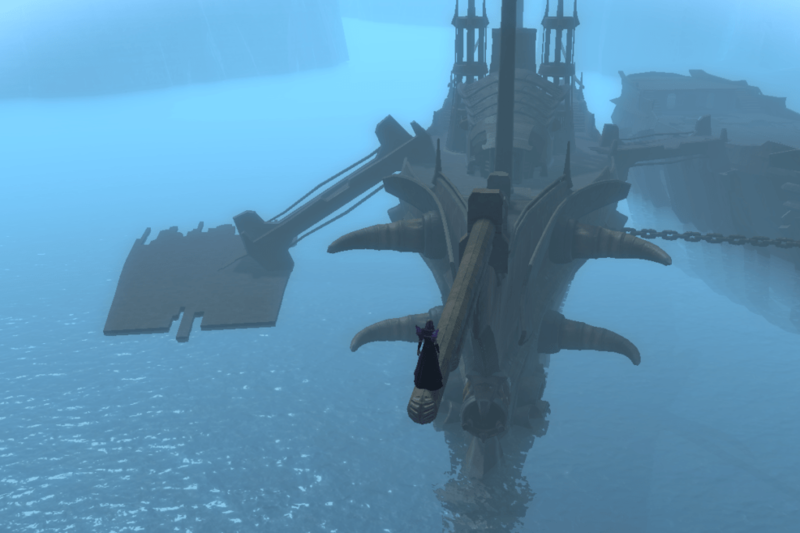 In the waters above Draumheim are some ship wrecks. Some of these ships have a long pole sticking out from the front called a ‘bowsprit’. 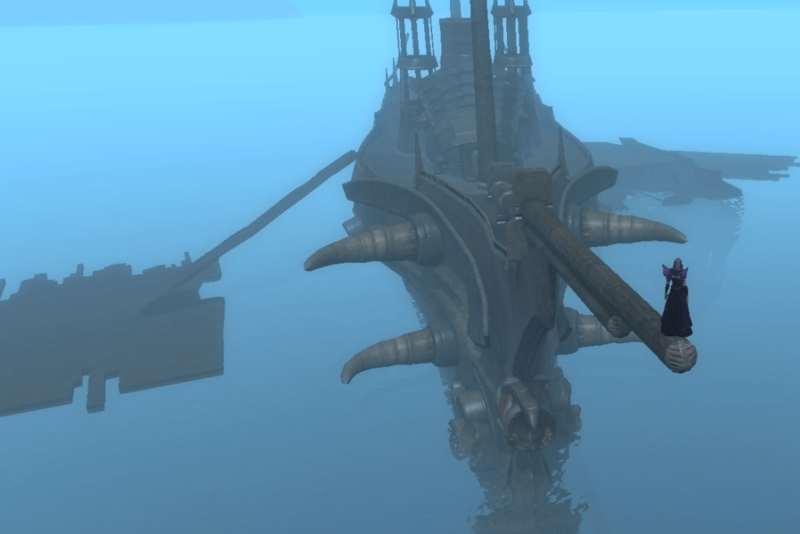 You need to climb onto the ship and then walk along the pole til you reach the end. Some of them will have support blocks along the pole which you will need to jump over. Just walk right up to the block and then spam jump until you double jump and go over the block. Some of the blocks cant be jumped over in this way, so you will need to jump around them as shown in the video on the right. Waypoints given are at the very tip of the pole. More information for each location is below.. The boat next to this one is The Decietful Mermaid. 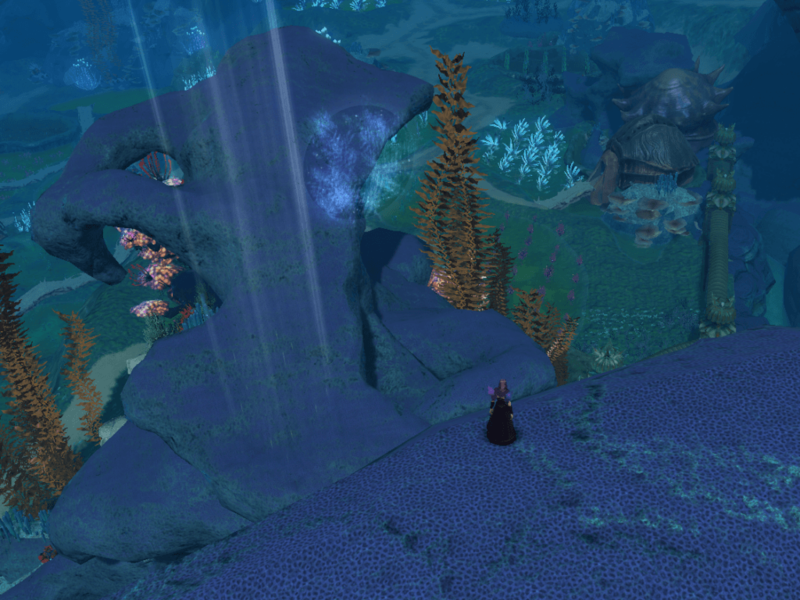 This one is underwater, no need to jump! Just swim up to the end of the pole. This one is right next to The Exodus Quester. You will need to jump around the block instead of over it, see the video above for an example of how to do this. You will need to jump around the block instead of over it, see the video above for how to do this. 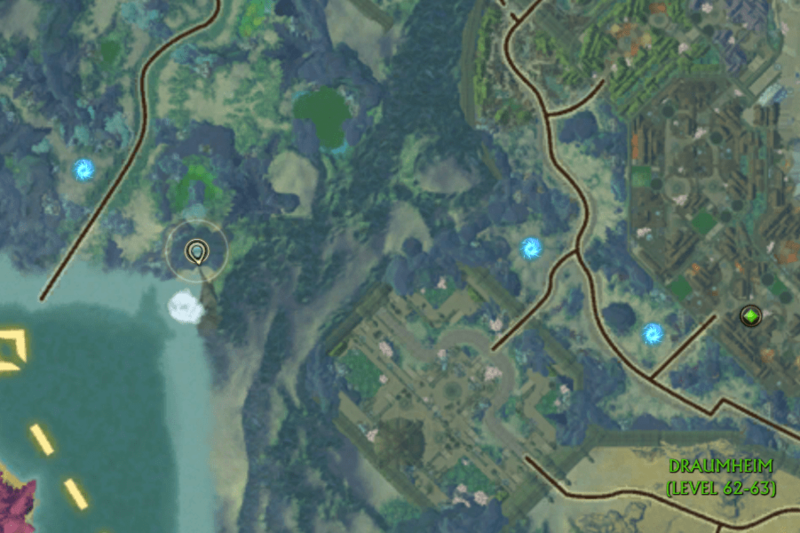 This cheevo requires you to jump up into the ocean, go to locations and then drop down and land in a very specific spot. Use / to switch to walking speed, this will allow you to edge very close to the black square. If you can, try to click the square to get you in exactly the right position and then drop down. If you are unable to click it dont worry! Falling from very close to the square is usually enough to tick off the cheevo. To swim straight down, you can use the keybinding for this, which is defaulted as X. Found under keybindings > movement. This one is a series of jumps between stone archways. 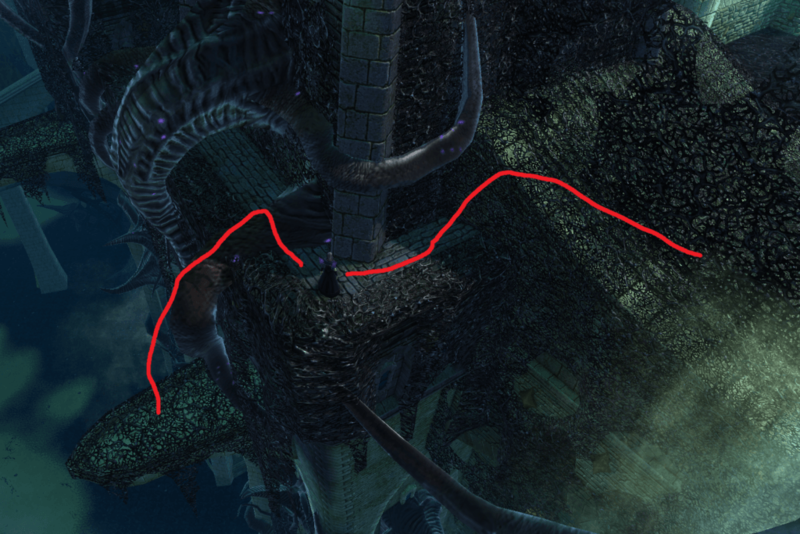 The archways are close together, so you will need to slow your speed down so you dont overshoot them. 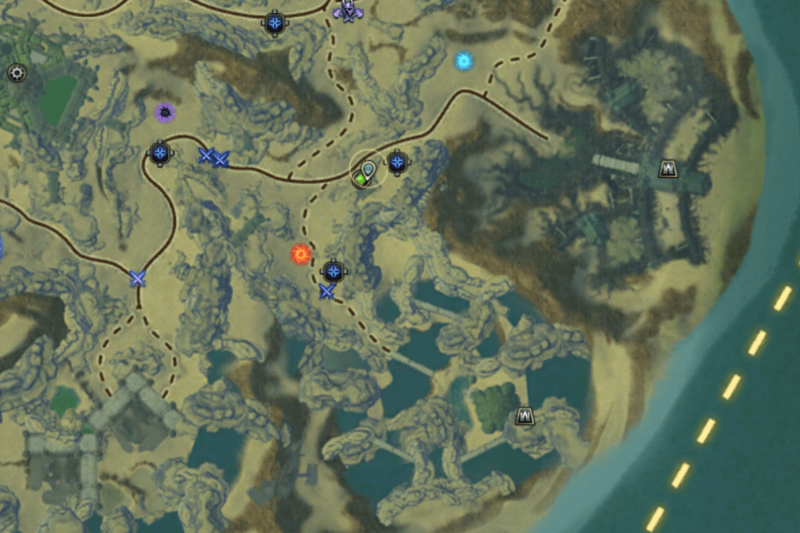 The best way to do this is to mentor down to level 49. This will remove all your PA buffs and make you move much slower. Start by jumping onto the first arch from the rocks near the house above. 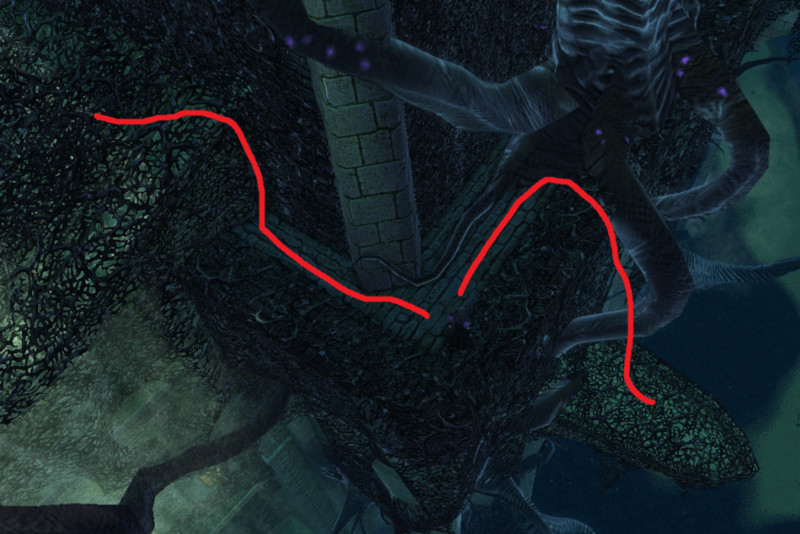 Then mentor down and jump carefully from one arch to the next, aiming for the next white circle each time. Drop down from above onto the round pool of water and then jump across to the pool nearby. 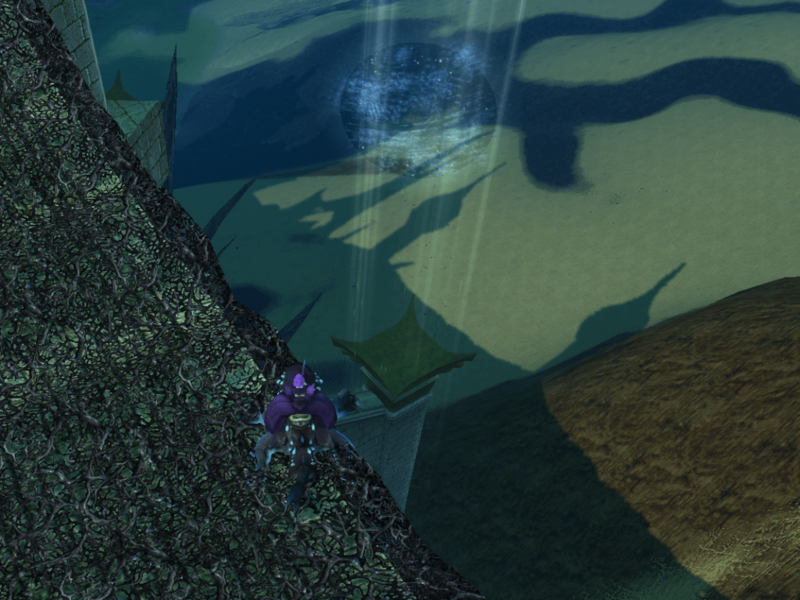 Drop down from above to reach the rock easily and then jump across. 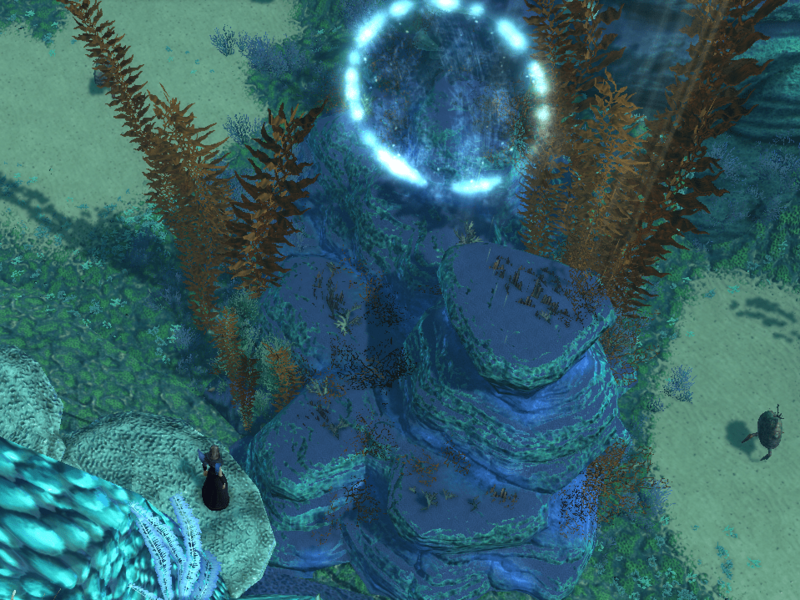 Climb up onto the rock and then jump across the path to the circle of light. So.. i spent a lot of time trying to land on the very top of the nearby tower thinking there was no way it was so simple as jumping from the wall to the platform.. turns out.. it is that simple.. 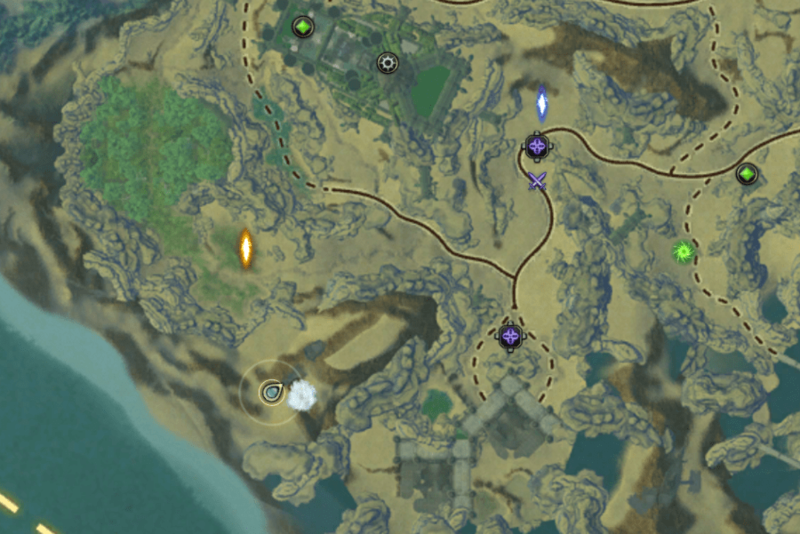 The white circle and landing spot seems to disappear once you have ‘seen’ it, so if you need to try the jump a second or third time dont worry if you cant see the lights, just make the jump and it will tick off. 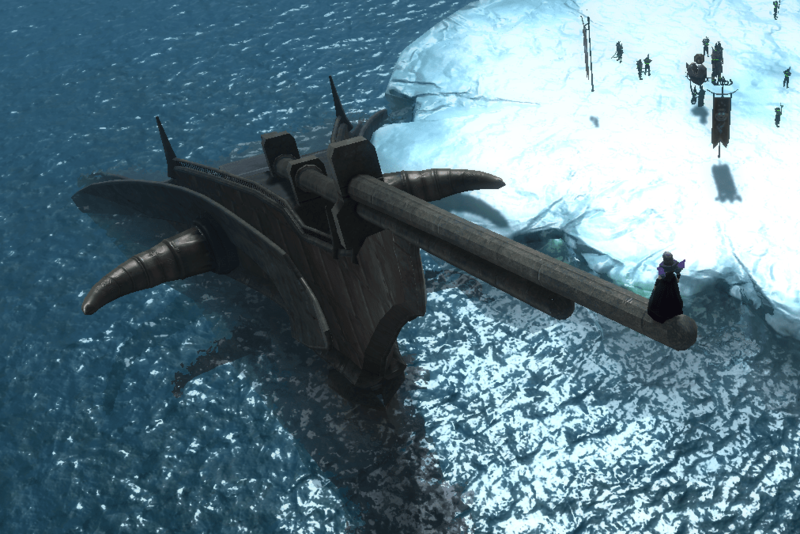 All around the Shadow Port Scion area you will find Bulbous Bouncers to help you up onto the higher levels. Drop down onto the ledge above the balcony and then drop onto the balcony. You will get this cheevo by doing the main story quest line in Draumheim. 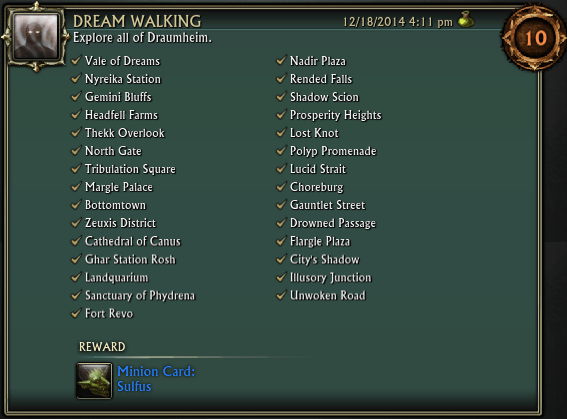 A selection of daily quests available from the various quest hubs in Draumheim. 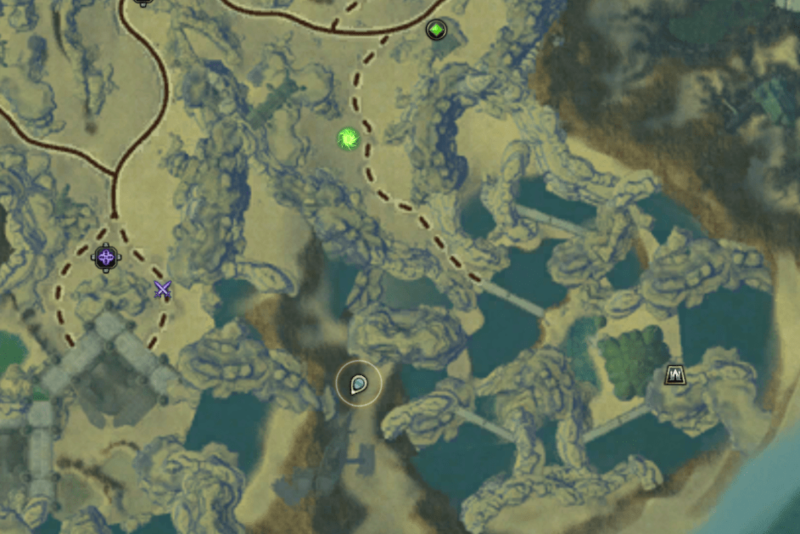 Clam Up – Picked up from the Gemini Bluffs portal. 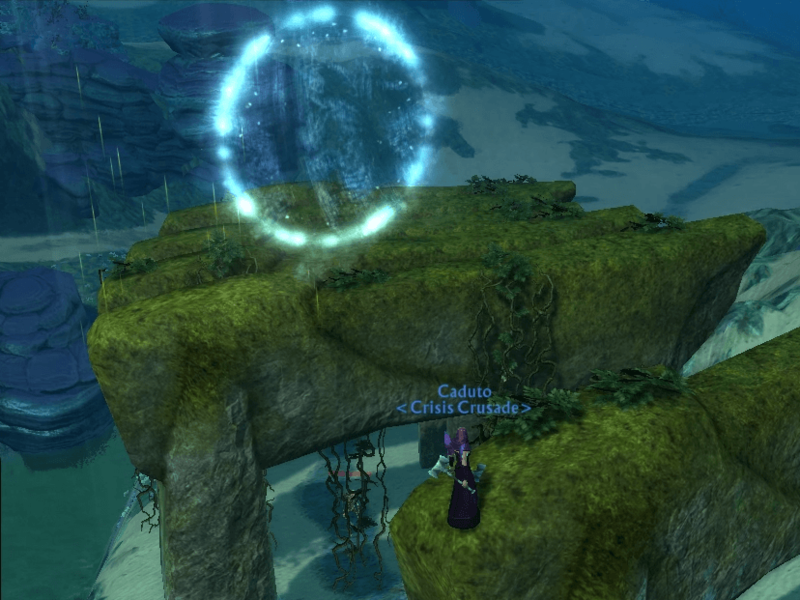 Lactic Detonation – Picked up from the Gemini Bluffs portal. Trivia Night – Picked up from the Gemini Bluffs portal. It’s Strangely Addicting – Picked up from the Ghar Station Rosh portal. More Treats! – Picked up from the Ghar Station Rosh portal. 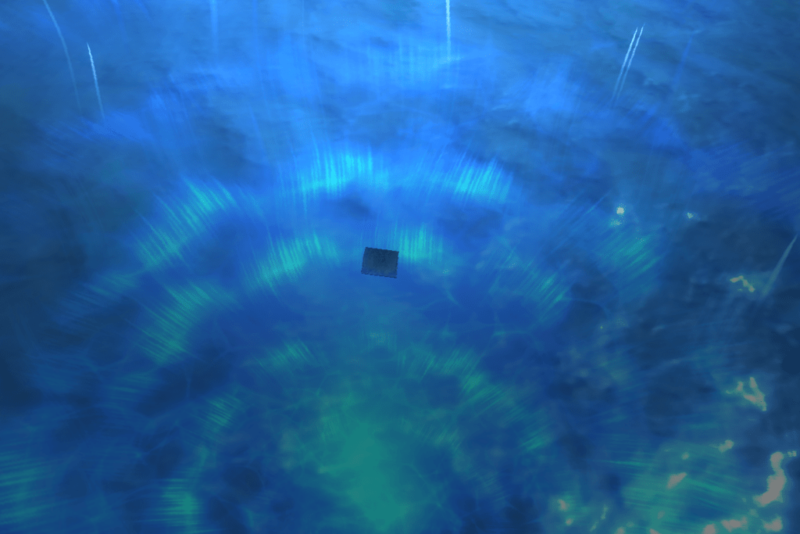 Of Course They Explode – Picked up from the Ghar Station Rosh portal. There It Went Again! – Picked up from the Ghar Station Rosh portal. A Complex Task – Picked up from the Margle Palace portal. 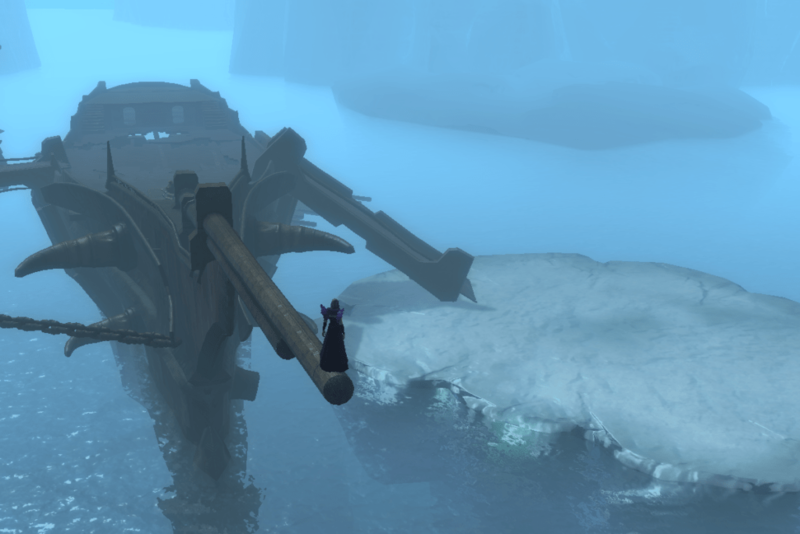 Recurring NIghtmare – Picked up from the Margle Palace portal. Tour de Farce – Picked up from the Margle Palace portal. Tribulation Torn – Picked up from the Margle Palace portal. 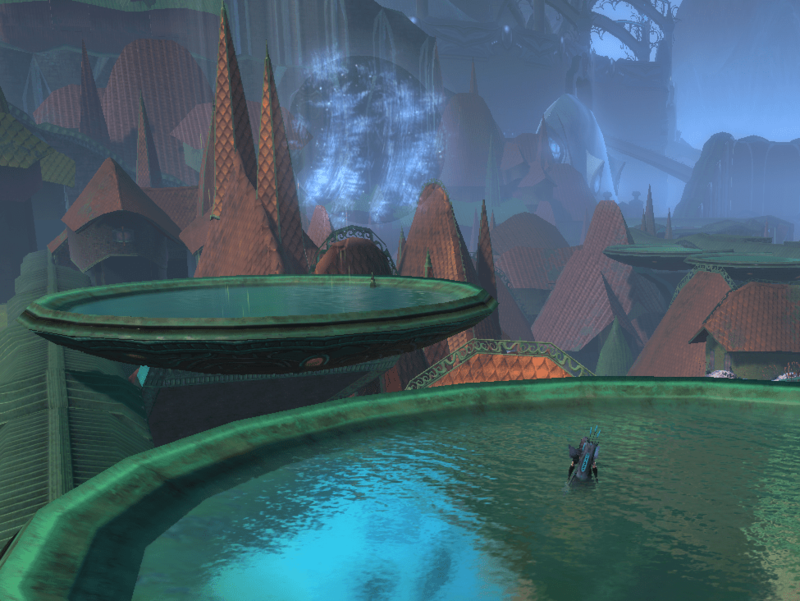 Rifts of Draumheim – Picked up from the Gemini Bluffs portal. You will find these creatures on the upper levels of the Shadow Port Scion area. There's More Than One of Those Things? 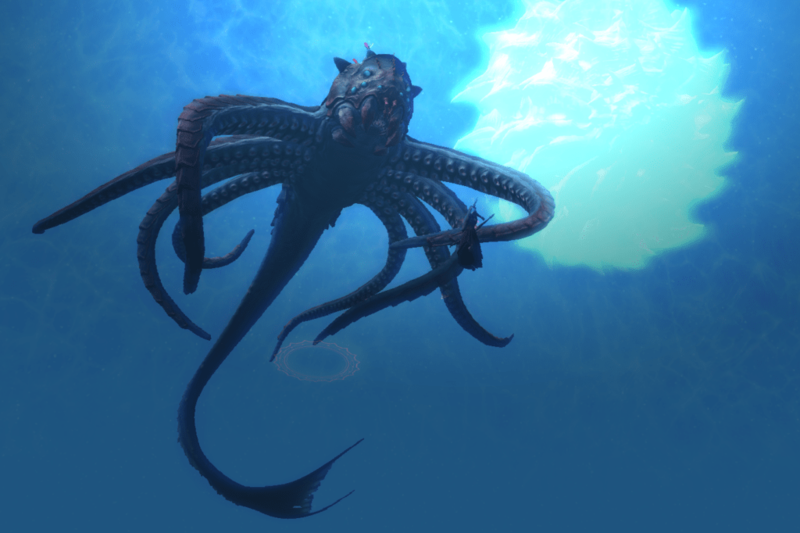 You can find these creatures in the ocean above Draumheim. 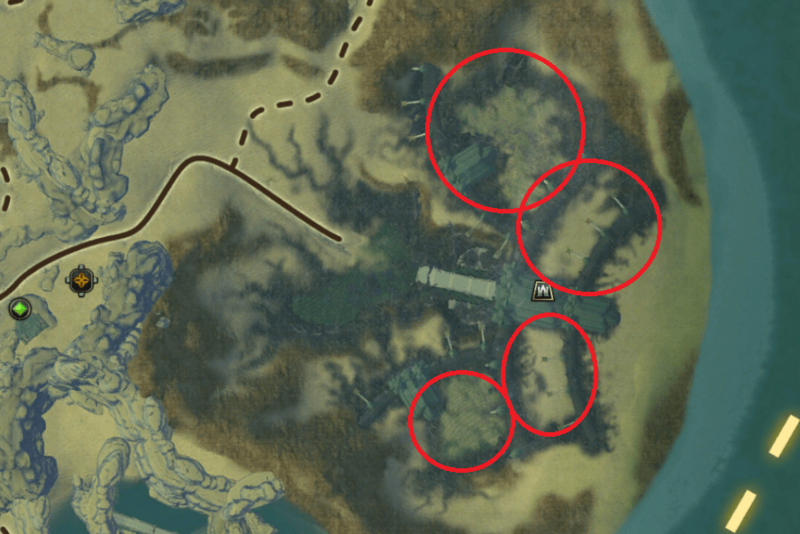 I find the best place to ‘farm’ them is above the southern parts of the map. They are very difficult and time consuming to farm as they are singular mobs with an average of 100 meters between each one. 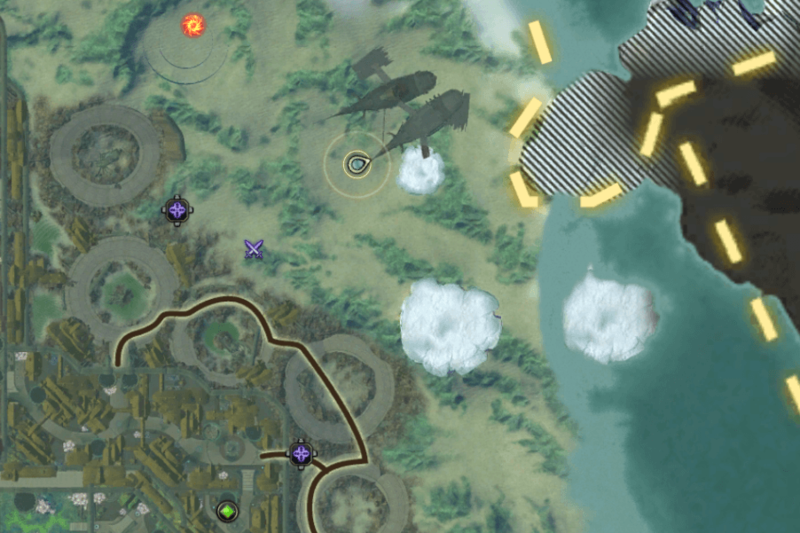 This means you have to kill them one at a time, you cant group them up and AOE them down. 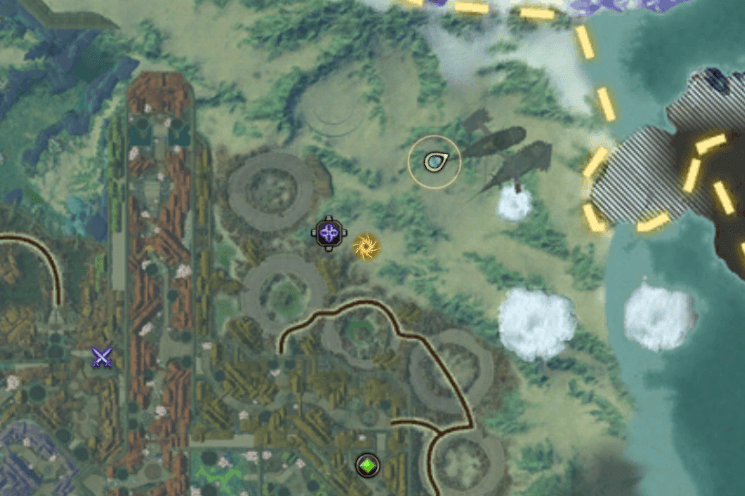 I find it quicker to find one and kill it and then switch shard at the same spot and kill all that are up before moving on to the next spot.